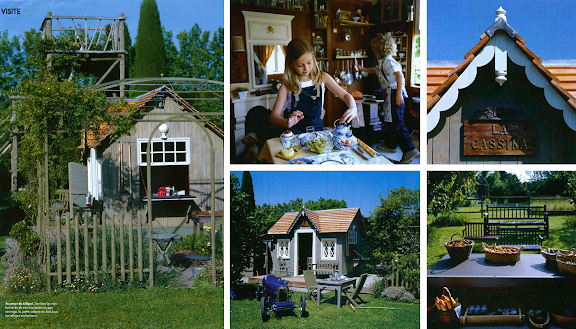 These French playhouses are so darling, oh yes they are. I could have so much fun creating something like this for my kids, couldn't you? It's a lot of fun to dream about and definitely an idea worth storing away. I wish I was a French child! What fun! Those are fantastic! Beautiful! Forget the backyard casita for the inlaws. 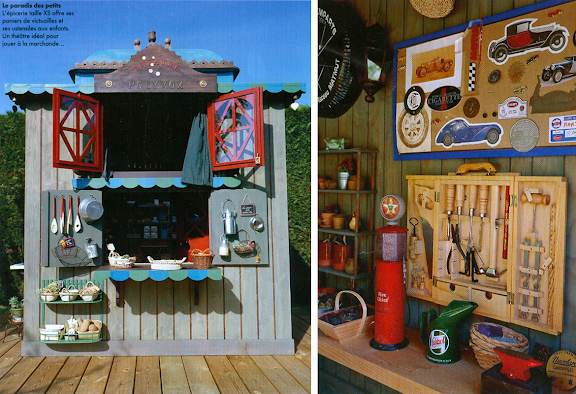 These playhouses rock! I REALLY need one of those! It's not a want, it's a need! Adorable, thanks for sharing. Well, my kids are French but we don't have houses like this yet :) These are all great - mine have made their own treehouse /'cabane' in one of olive trees. I wanted to buy a nice one but they prefer to "build" their own. These are great! I had a playhouse when I was a little girl and I spent many summer days playing house. So much fun! Thanks for sharing! !